Why Baler, Philippines is Great For Surfing -- Plus, the Top 5 Best Hotels To Stay At! 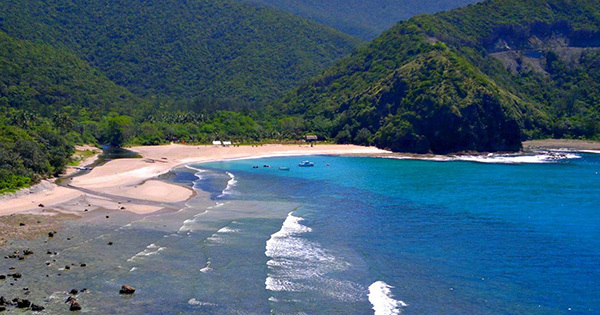 Baler, blissfully nestled in the province of Aurora, claims to be the "birthplace of Philippine surf culture" and has been renowned as a surfer's haven since then. The endless big waves and the laid-back vibe are just some of the reasons why tourists keep coming back to its exciting beaches. Favorably, there are tons of great places to stay where surfers, may it be experts or newbies, would surely have a good time. #1 - Hotel Motel Charlie Does Inn: One of the earliest surf schools in Sabang Beach, Charlie Does is more than just an accommodation option. It also houses Lotus, a surf shop wherein they make hand-shaped surfboards, and a cafe where they serve the best coffee and organic meals. Known for its sustainable efforts, this hotel-motel made use of recycled container vans as comfortable fan rooms. Guests can also opt to sleep in hammocks amidst the sea breeze. #2 - Nalu Surf Camp: Make big waves in this resort conveniently located right next to Sabang Beach that offers surfing lessons inclusive of a surfing board, instructor, picture, and beer. Chillax at their hammock-style accommodations perfect for solo travelers on a budget. For large groups, they also offer a wide variety of spacious air-conditioned or fan rooms that can fit up to 8 persons. Occasionally, they also set up bonfires for their guests. #3 - L’Sirene Boutique Resort: A product of its owner's love for surfing, anyone who will visit and stay at this resort would surely love surfing, too; that's if he doesn't yet. The remote 3.5-hectare property at Reserva has 15 deluxe and super deluxe rooms that have a zen mermaid-ish atmosphere. In addition, the resort has its own beachfront where guests can enjoy surfing and they provide rental surfboards and surfing lessons for a minimal fee. #4 - The Circle Hostel: A backpacker's sanctuary, this budget-friendly accommodation is a must-see for artsy surfer-skaters for its colorful murals mostly done by guests. Socialize with fellow beach heads in their common area where bean bags and hammocks are situated. For accommodations, they offer private rooms, bunk beds, female dorms, and hammocks with built-in mosquito nets. Surfboards and skateboards are also available for rent. #5 - Easy Adventure: Tucked away from the busy baywalk of Sabang Beach, this resort located at Charlie’s Point, Reserva would let you experience luxury camping or glamping in their heavy-duty spacious tents. Since its an eco-luxe resort, guests will also get the same comfort of hotel services with full board meals included. On top of that, they also offer different watersports activities including dune buggy, kayaking, paddle boarding, hovercraft, and of course, surfing.